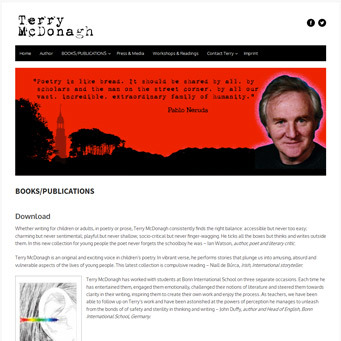 Terry McDonagh is an Irish poet from Cill Aodáin, based in Hamburg. Terry had a static HTML site that was difficult and very time-consuming to maintain and did not translate well across mobile devices. He needed a site to publicise his workshops and publications. WordPress was an ideal fit for his requirements as it is easy to use. His new site is responsive across all devices, mobile and desktop.